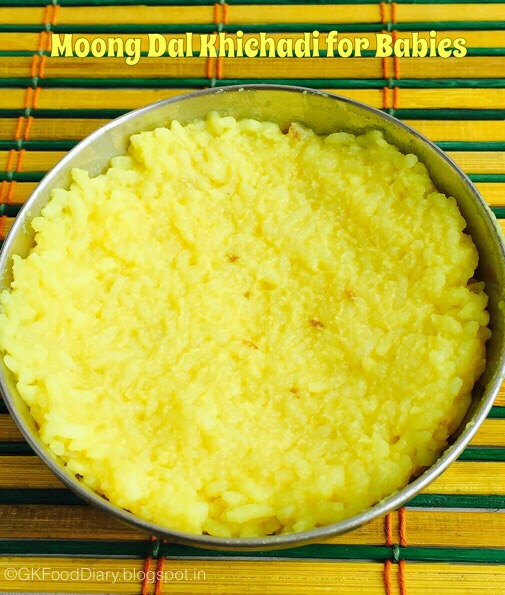 Khichdi Recipes for Babies, Toddlers, and Kids -Khichdi is popular comfort food in India; it is usually prepared with rice/grains, lentils, fresh vegetables, little spices, and ghee as main ingredients. It can be served for lunch, dinner or any time of the day! Khichdi is a perfectly wholesome, one-pot, comfort meal and the best food for babies and small kids as it has a soft texture, nutritious and easily digestible even during sick days. It is also a versatile dish, and there are many varieties of khichdi can be prepared. Here is the collection of tasty and healthy khichdi recipes. Choose recipes according to your baby’s age. It is mentioned in the brackets along with recipe heading. Click on each image or the link of recipe heading given for the recipes. 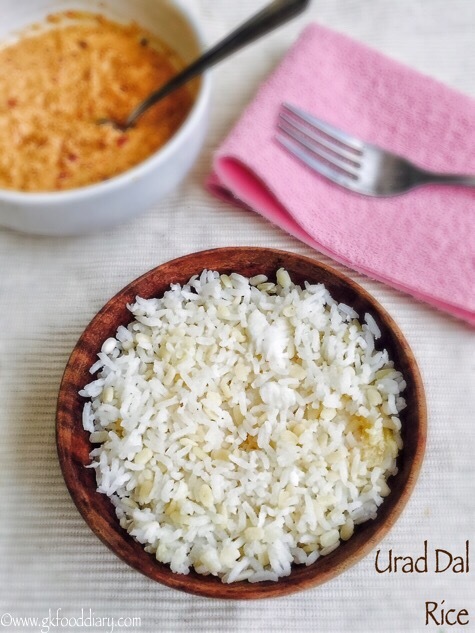 Please refer to the notes section provided at the end of the post for the key points to remember before offering khichdi recipes to your child. Plain moong dal khichdi is a simple and very easy to make khichdi recipe prepared with rice and moong dal. Its a nutritious lunch option for babies. 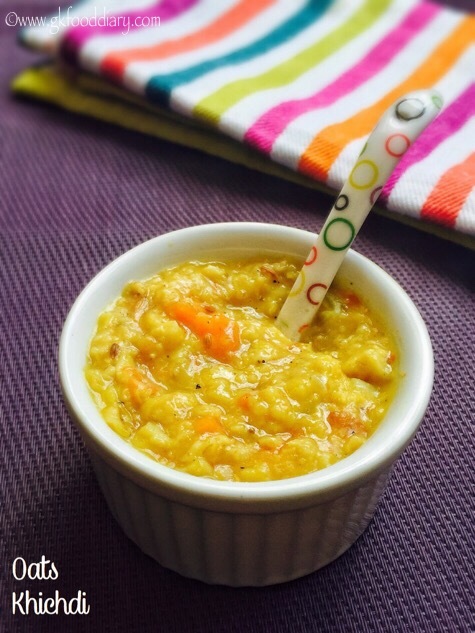 Introduce this moong dal khichdi to your baby after introducing rice and dal individually. Start with a small amount, and you can increase the quantity gradually. It is also suitable for babies and kids during sick days as its very light on the tummy. It also makes kids feel better when they are down with a fever or stomach pain. This vegetable dal khichdi is a flavorful a khichdi with onions, tomatoes, little spices and loads of vegetables. Once your baby is doing well with plain moong dal khichdi, you can try this delicious and nutritious vegetable dal khichdi. This instant moong dal khichdi is prepared with powdered rice and moong dal. You can store the rice moong dal powder in an airtight container and use whenever required. 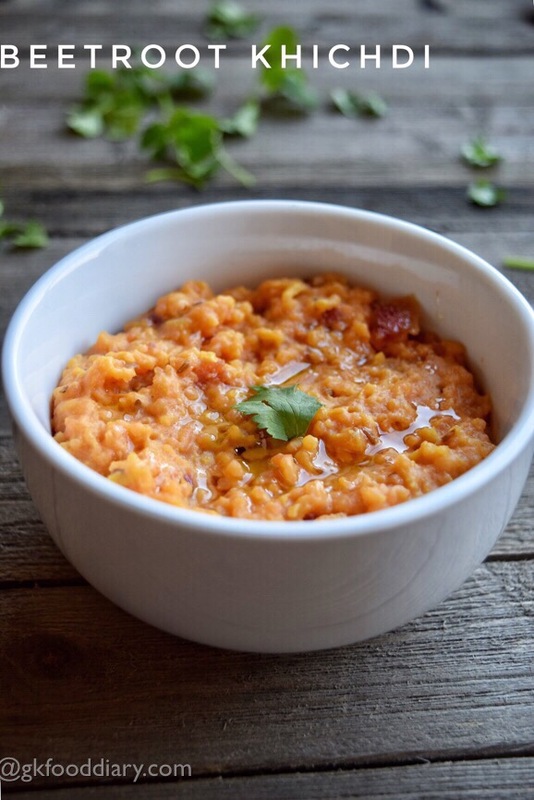 Add any vegetable puree to this rice dal porridge to make it more healthy. 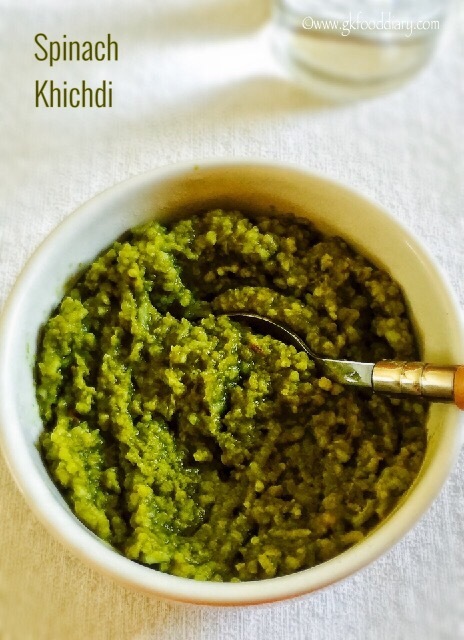 The khichadi mix powder doesn’t get spoiled soon so ideal for travel. Beetroot is a nutrient-rich vegetable packed with iron, the khichdi prepared with this humble vegetable makes a wholesome and delicious meal for babies. The method is similar to the usual moong dal khichdi plus the addition of beetroot. 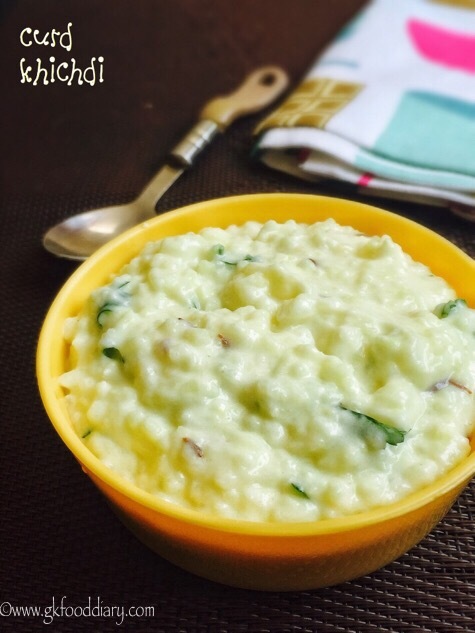 It’s another variation of khichdi made with moong dal, rice, curd/yogurt, and cumin seeds. It is an easily digestible meal for small babies who have just started on solids and serve as a quick lunch for babies. 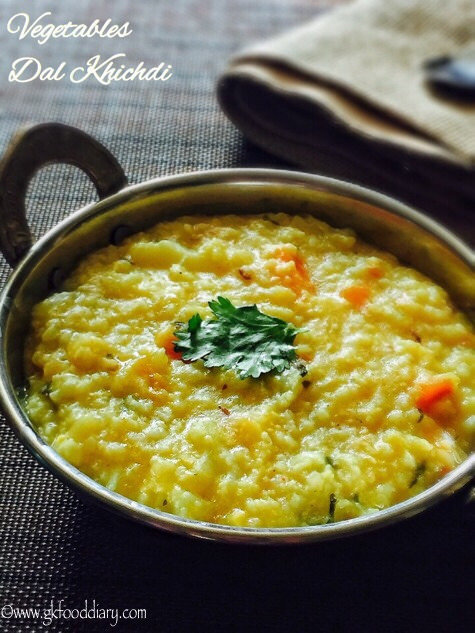 Oats khichdi is the best alternative for simple dal khichdi when your baby is bored of it. It is very simple to prepare by replacing rice with oats in the vegetable dal khichdi recipe. Make sure to introduce oats separate before you try this khichdi. A nutritious khichdi prepared with rice, lentils, and broccoli. Broccoli is one nutritious vegetable packed with iron; this broccoli khichdi is one of the perfect ways to include them in your kids’ diet. Simple, flavourful and healthy khichdi recipe with rice, Toor dal, and spinach leaves. It makes a healthy wholesome meal for your baby. 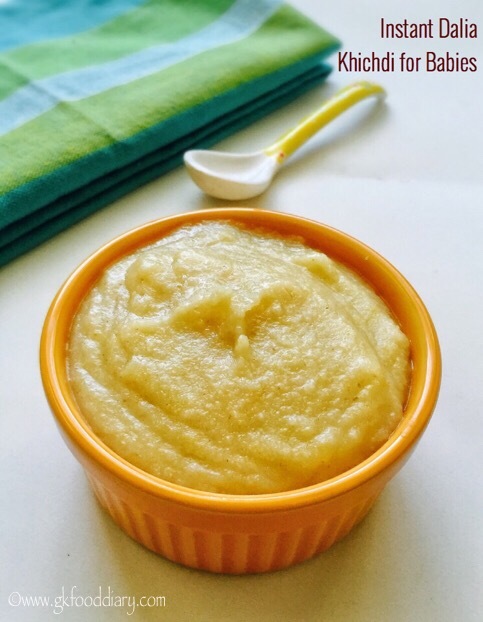 It is an exciting combination of health and taste makes this recipe a must-try for your little one. 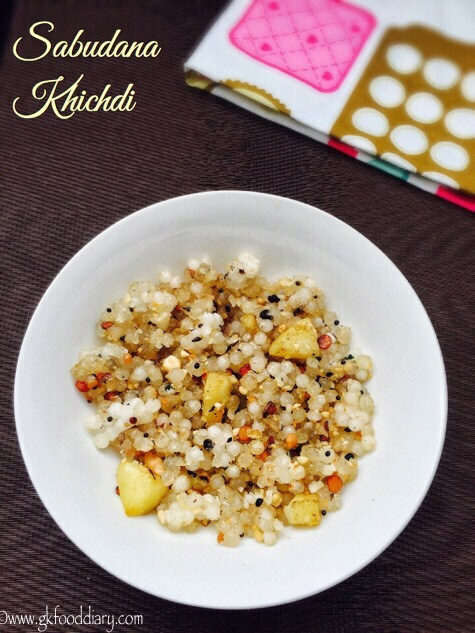 Sooji Khichdi a is a tasty, wholesome and comforting food for babies. It’s a quick fix meal that can be served for breakfast or dinner. 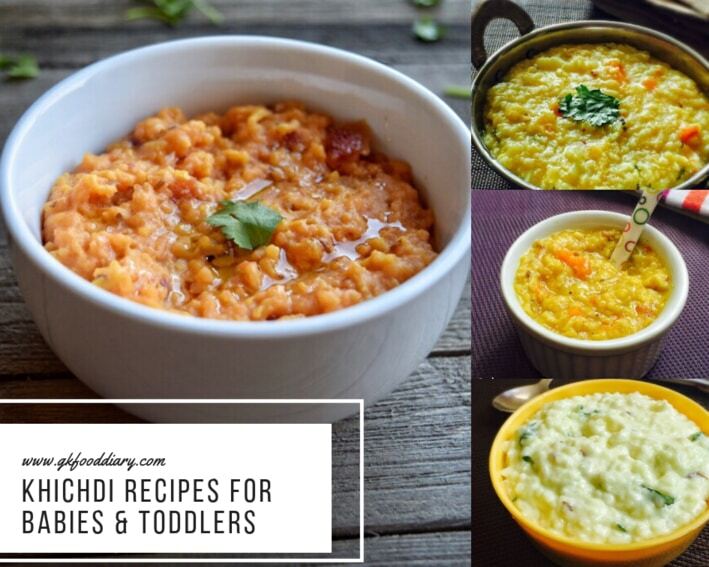 Sooji Khichdi is baby friendly. 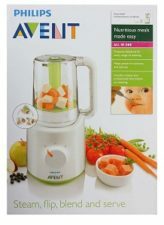 Use pureed vegetables, also increase more water and feed in pouring consistency for babies less than eight months. DaliaKhichdi/broken wheat khichdi is another delicious khichdi recipe that can be made with daliya or broken wheat, moong dal, and vegetables. Its high in fiber, iron and its recommended for babies and growing kids. 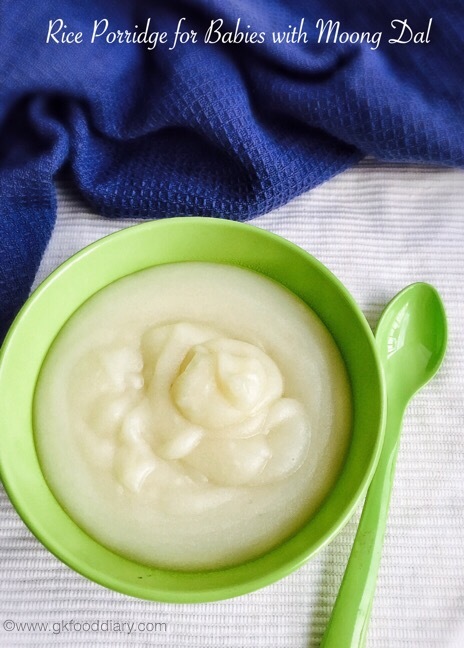 It can be served for babies as a wholesome meal with curd. Instant dalia khichdi or broken wheat khichdi recipe made with homemade Dalia khichdi mix. The instant mix is made with broken wheat and moong dal. It is convenient during travel if you want to give homemade food to your baby. 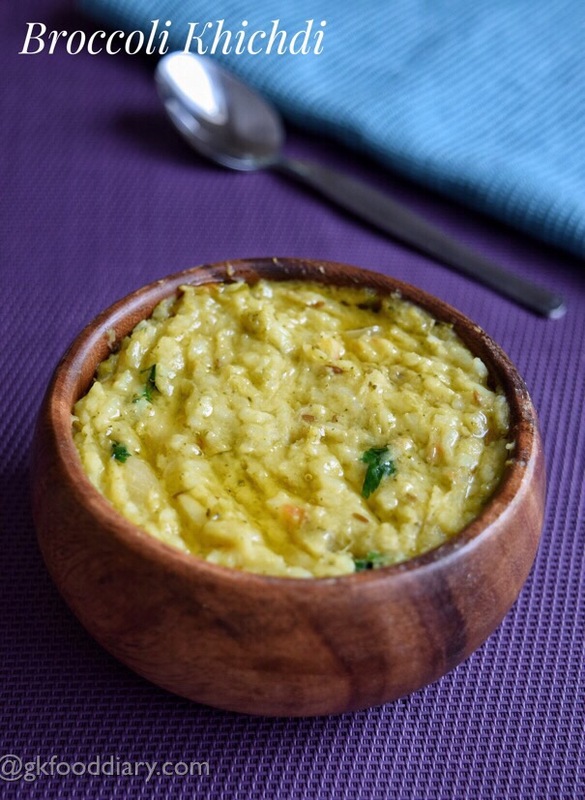 Instant dalia khichdi tastes bland without salt, hence add vegetable purees like carrot, potato, sweet potato, etc. 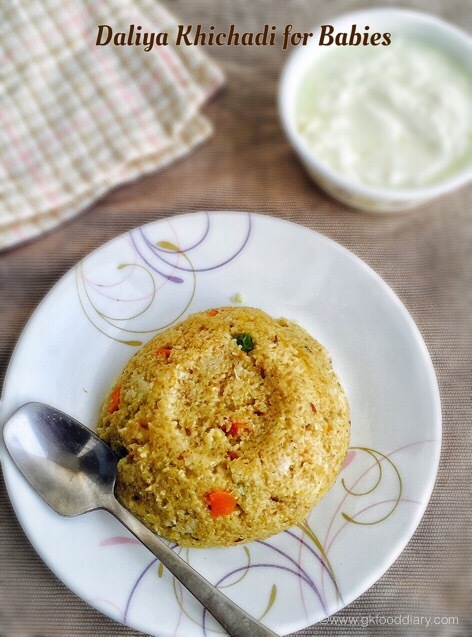 to this khichdi to make it more wholesome, healthy and tasty! This urad dal khichdi or urad dal rice is prepared with split black gram and rice. It is suitable for growing children as it helps to gain healthy weight and strengthen the uterus of the girl child. 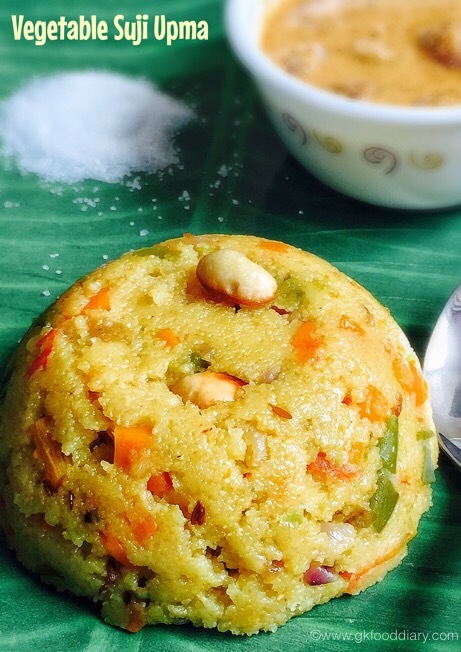 Introduce this khichdi to your child after introducing rice and urad dal separately. Adjust spices according to your baby’s tolerance level. Easy and filling khichdi recipe made with Sabudana/Sago/Tapioca/Javarisi, cashews, and potatoes. This Sabudana Khichdi is a famous fasting recipe that’s also suitable for kids as it has carbohydrates which keep them energetic all day! Its soft, mild on the stomach and hence apt when kids are down with an illness. Skip peanuts/cashews when preparing for sick kids. If your baby is allergenic to any ingredient used in the recipe, please remove it while preparing. Always check with your child’s pediatrician before giving any new food. Avoid salt for babies at least till one year. Adjust or remove spices according to your child’s tolerance level. Hi, my baby is 11 months old and I started solid food when she was 7 months but she likes any food in puree form but stores any food in mouth when given finger food. She doesn’t swallow nor does she picks up and eat it. Puree form of food she enjoys. Should I be worried?